Robert Hurdle Hanshew3,4 [Robert Beckhoff5]. 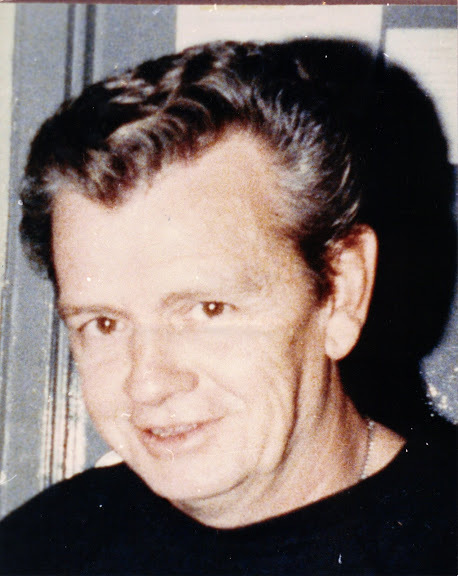 Hammond--Robert H. "Sonny" Hanshew, 47, of Hammond, died Wednesday (Feb. 20, 1991) after being beaten in a robbery at the Lansing gasoline station where he worked. 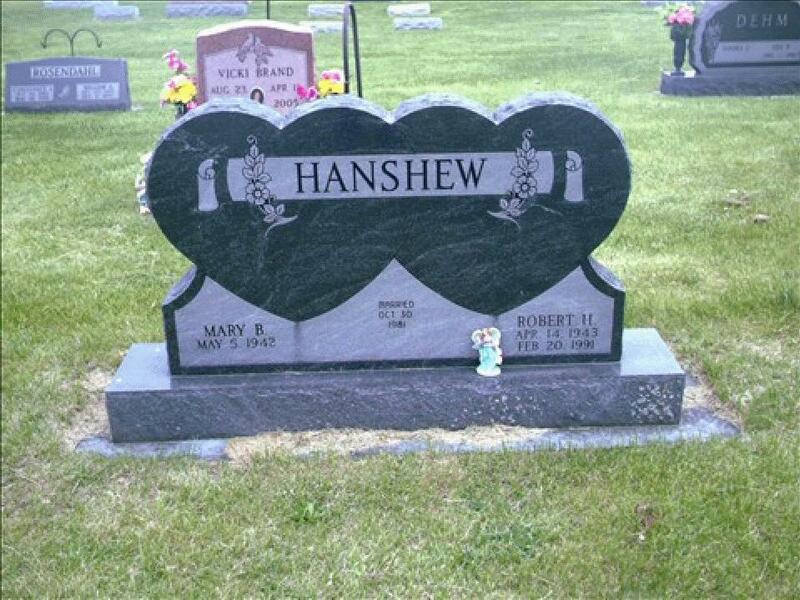 Mr. Hanshew was a former resident of the Forrest area, near Chatsworth. He is survived by his wife, Mary Runyon, his mother, Stella Glover of the Hegewisch section of Chicago, one daughter, Angel Dawn; five brothers, Eugene Hanshew, of Fort Myers, Fla., Kenneth Hanshew, of Heyworth, Ill., Francis Hanshew, of Westville, Ind., Donald Hanshew, of Forrest, Ill. and Jack Beckhoff, of Hammond; and three sisters, Ina Mae Winningham, of Barry, Ill, Mary Wojas, of the Indiana Harbor section of East Chicago, and Bonnie Sohls, of Gaston, Ala.
A graveside service will be at 2:30 Sunday in Chatsworth cemetery in Chatsworth, Ill. There will be no visitation hours. Culkin-Diggle Funeral Home in Chatsworth is handling the arrangements. Contribution from Angel Hanshew McConnell. RootsWeb WorldConnect data by Mary Hanshew (). "Daily Leader" (Pontiac, Illinois), May 3 1973; http://www.ancestry.com.